The Southeast Atmosphere Study (SAS) is a collaboration that brings together resources and facilities from NSF, NOAA, EPA, and EPRI. The SAS is the "umbrella" for the NOMADSS, SOAS, NAAMEX, TROPHONO, and SENEX projects. SAS's main purpose is to ensure that the objectives of the individual projects are coordinated. The field phase for the SAS will be 1 June 2013 through 15 July 2013 and is generally focused in the southeastern United States. 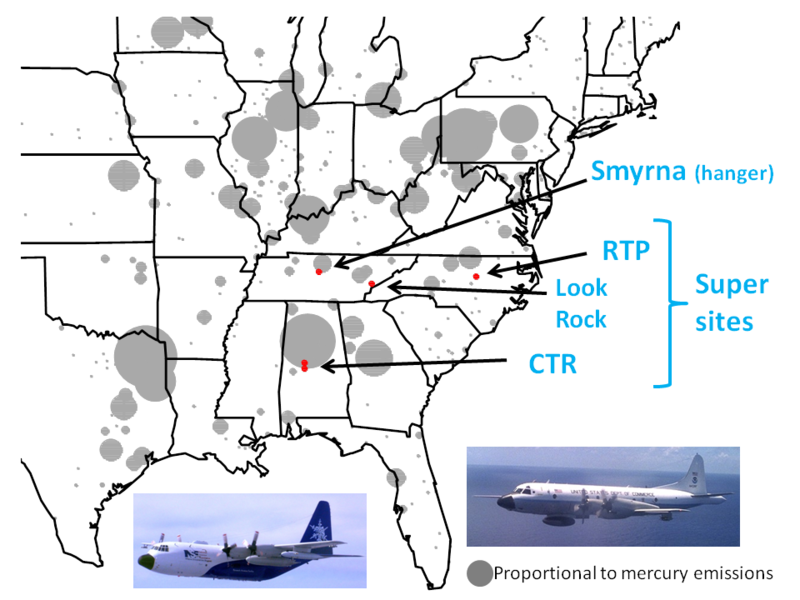 All airborne platforms (i.e., NSF/NCAR C-130, NOAA WP-3D, Purdue Duchess, and Stonybrook Long-EZ) and ground based facilities (i.e. Centreville and Alabama Aquatic Biosdiversity Centre (AABC), Alabama; Look Rock, Tennessee; and Research Triangle Park (RTP), North Carolina) are involved in the SAS. The individual project descriptions and objectives are described below. 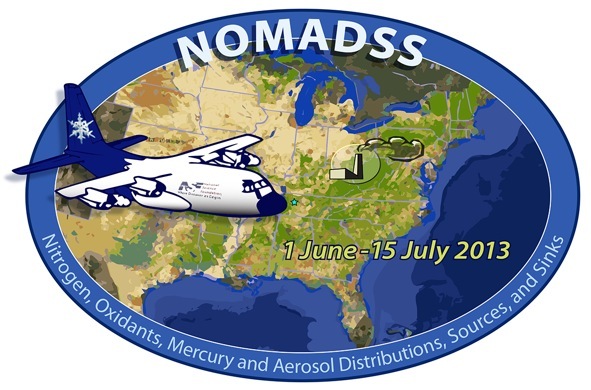 The Nitrogen, Oxidants, Mercury and Aerosol Distributions, Sources and Sinks (NOMADSS) project integrates three proposed studies: the Southern Oxidant and Aerosol Study (SOAS), the North American Airborne Mercury Experiment (NAAMEX), and the TROPospheric HONO (TROPHONO). 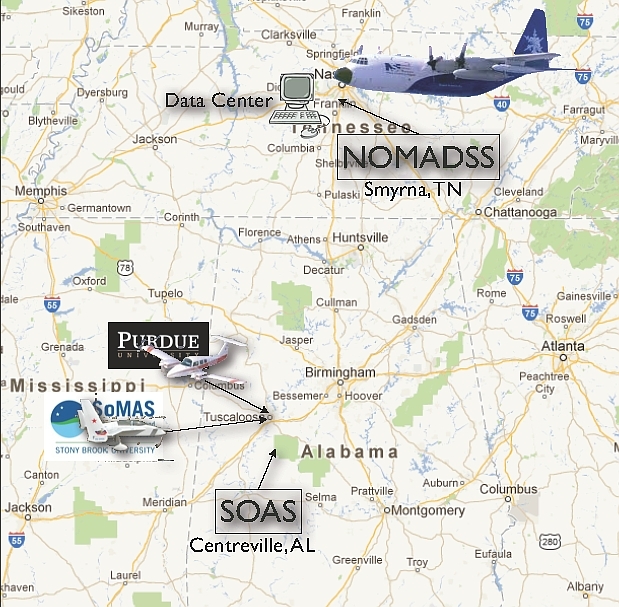 The merger of the SOAS, NAAMEX, and TROPHONO field campaigns on the C-130 platform provides the opportunity to address the objectives and science questions for the three respective projects summarized below. The SOAS objectives include the direct quantification of VOC, ozone and NOx surface fluxes and reconcile differences with "blank-down" emission estimates; better understanding of HOx/NOx/ozone/organics/aerosol distributions, sources and sinks. What are the magnitudes, variations, and controlling processes for biosphere-atmosphere fluxes of oxidants and reactive carbon and nitrogen across spatial scales relevant to air quality and climate? What are the chemical and physical processes that control the oxidation of BVOC? How do anthropogenic emissions alter the distribution of the BVOC oxidation products, and what are the implications for the formation of ozone, reactive nitrogen, and aerosol precursors? To what extent do anthropogenic influences impact biogenic SOA formation? How does aqueous chemistry and cloud processing of BVOCs and related aerosols influence atmospheric SOA? What are the climate-relevant properties of biogenic aerosol (VOC of biogenic origin)? quantify the distribution and chemical transformations of speciated mercury in the troposphere. These goals will be fully met in the merged project. The merger represents a significant opportunity to conduct detailed sampling in the most concentrated Hg source region in North America as well as flights into the middle and upper troposphere where models suggest a significant source of oxidized Hg. The NOMADSS payload includes the key NAAMEX measurements, plus fast VOC measurements that will help in source identification. The data on HONO will provide an additional constraint on oxidation processes, which are poorly understood for Hg. to investigate HONO dark formation/nighttime accumulation and morning-hour photolytic decay in the PBL and in the FT.
What are the emissions of aerosol, aerosol precursors and greenhouse gases in the SE U.S.? What is the composition and distribution of aerosol in the SE U.S.? What are the formation mechanisms of secondary species (ozone, sulfate and organics) in the SE U.S.? Which deposition processes are critical for determining atmospheric concentrations of aerosol, ozone and NOy? What are the climate-relevant properties of aerosol in the SE U.S.? Unless otherwise noted, photos courtesy of Carlye Calvin, University Corporation for Atmospheric Research. To submit a publication, complete the web form.